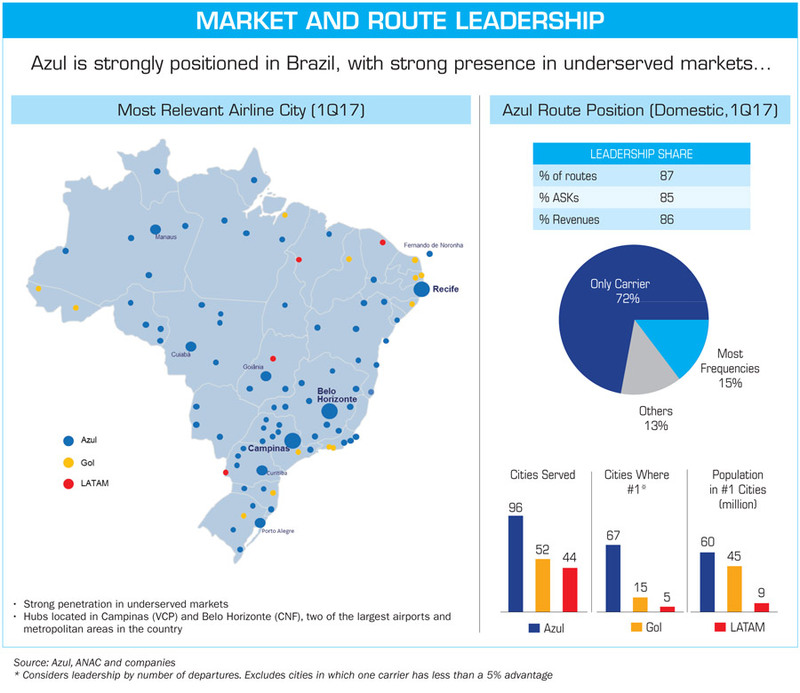 Azul is the fastest growing airline in Brazil since it commenced operations in December 2008 and currently has the largest airline network in the country in terms of cities served, with service to over 100 destinations. Brazilian aviation sector is quite vibrant. On the one hand, aircraft manufacturer Embraer has carved out a niche for itself, while on the other, an airline Azul has shown what it takes to be a leader in the skies. 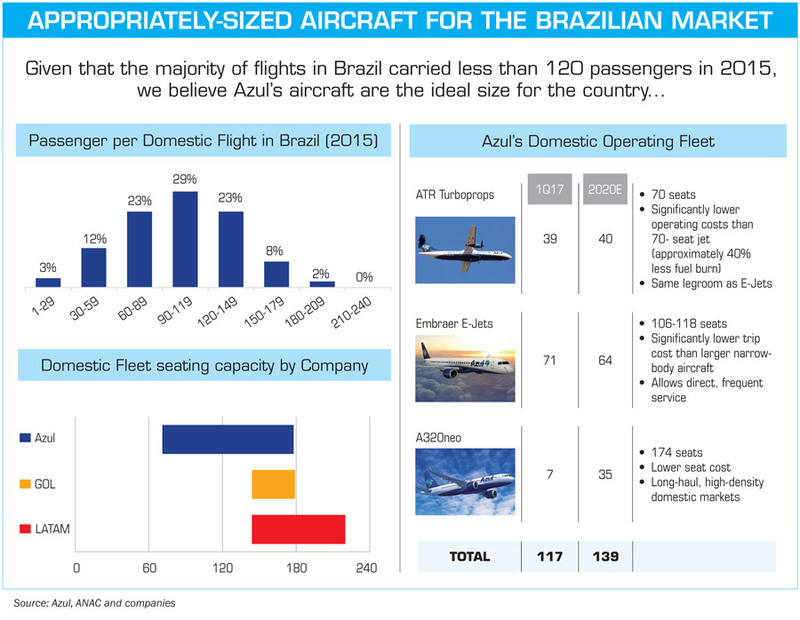 With a 32 per cent departure share in the Brazilian aviation market, Azul has established itself as the third largest airline in the country, after LATAM and Gol. 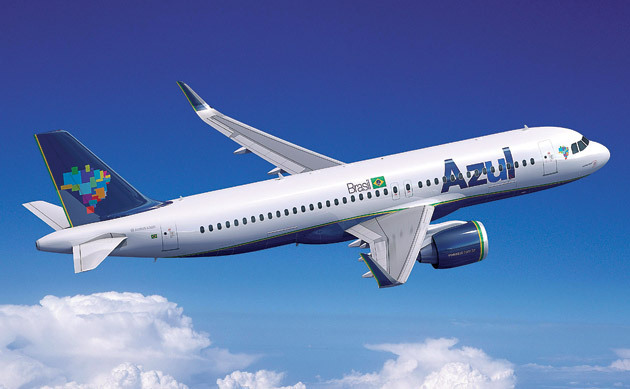 Azul is the fastest growing airline in Brazil since it commenced operations in December 2008 and currently has the largest network in the country in terms of cities served, with service to over 100 destinations. It has expanded its operations with selected non-stop service to the United States, Europe and South America. Azul’s differentiated business strategy, superior customer experience and innovative branding are the key drivers of continuous growth, as demonstrated by the numbers in the table. Azul Linhas Aéreas Brasileiras SA (Azul Brazilian Airlines) or simply Azul, is a low-cost carrier based in Barueri. The company’s business model is to stimulate demand by providing frequent and affordable air service to underserved markets throughout Brazil. The company was named Azul (“Blue” in Portuguese) after a naming contest in 2008, where “Samba” was the other popular name. It was established on May 5, 2008, by Brazilian-born David Neeleman the founder of American low-cost airline JetBlue, with a fleet of 76 Embraer 195 jets. Azul Linhas Aéreas Brasileiras SA was the fourth airline launched by JetBlue founder David Neeleman (Morris Air, WestJet, jetBlue, Azul). Azul inaugurated services among three cities -- Campinas, Salvador and Porto Alegre. It launched operations with three Embraer 195 and two Embraer 190 aircraft. Another three aircraft were added in January 2009 to introduce non-stop service from Campinas to both Vitoria and Curitiba. 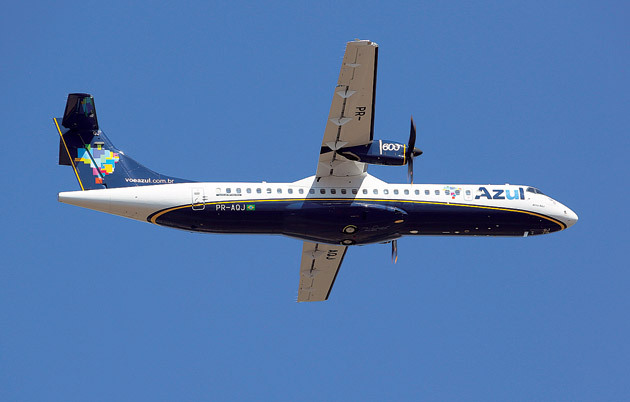 On May 28, 2012, Azul announced the acquisition of TRIP Linhas Aereas, the largest regional carrier in Brazil. 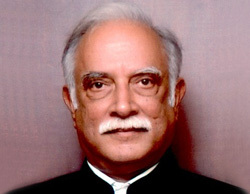 Azul and TRIP started comprehensive code-sharing operations on December 2, 2012, with all flights carrying only the IATA code of Azul. On March 6, 2013, Brazilian authorities gave the final approval for the merger with a few restrictions related to codesharing with TAM Airlines and slot use at Rio de Janeiro-Santos Dumont airport. On May 6, 2014, the merger was completed with the final approval from Brazilian authorities. That day the brand TRIP ceased to exist and all TRIP assets were transferred to Azul. Azul has signed a code-share agreement with Star Alliance airline United Airlines in January 2014, which made it possible for MileagePlus members to earn points when flying with Azul beginning April 1, 2014. Since 2015, Azul is also an equal partner in a Brazilian-Portuguese joint venture that is the majority owner of TAP Portugal, another Star Alliance member. In December 2014, Azul started its first scheduled international flights to Fort Lauderdale and Orlando, both in the United States. In early 2015 it was announced that Azul had signed a purchase agreement for 35 Airbus A320neo aircraft and is to lease another 28. In mid-2015, Azul finalised a deal for 30 Embraer E195-E2 aircraft including 20 options, first announced at the 2014 Farnborough International Air Show. The first delivery is scheduled for 2020. On November 24, 2015, it was announced that the Chinese HNA Group, owner of Hainan Airlines, would invest S$450 million in Azul, becoming the largest single shareholder of Azul. This follows the S$100 million investment of United Airlines closed in June 2015. As of March 31, 2017, Azul had a total operating fleet of 122 aircraft consisting of 71 E-jets, 39 ATRs, seven A320neos, and five A330s with an average age of 5.0 years. 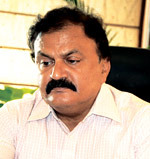 The company’s contractual fleet, which includes 15 aircraft subleased to TAP, totalled 142 aircraft, of which 37 were under finance lease and 105 under operating lease. 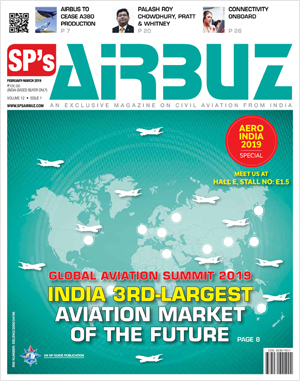 The 20 aircraft not included in the operating fleet consisted of 15 aircraft subleased, four E-Jets that were in the process of being transferred to TAP and one ATR. Azul serves 107 destinations in Brazil, Argentina, Bolivia, French Guiana, Portugal, the United States and Uruguay plus some other additional locations by means of dedicated executive bus services to the nearest airports. Azul has interline agreements with Aerolineas Argentinas (SkyTeam); Air Europa; Copa Airlines; Etihad Airways; Hahn Air; Hainan Airlines and Lufthansa. It has code-share agreement with JetBlue Airways/ United Airlines and TAP Portugal. Azul also operates two Pilatus PC-12/45 for logistics and maintenance support. With such an impressive fleet in such a short time, Azul has 784 daily departures serving 107 destinations, creating an unparalled network of 203 non-stop routes as of December 31, 2016. Its connectivity at large hubs allows it to consolidate traffic, serving larger and medium-sized markets as well as smaller cities that do not generate sufficient demand for point-to-point service. 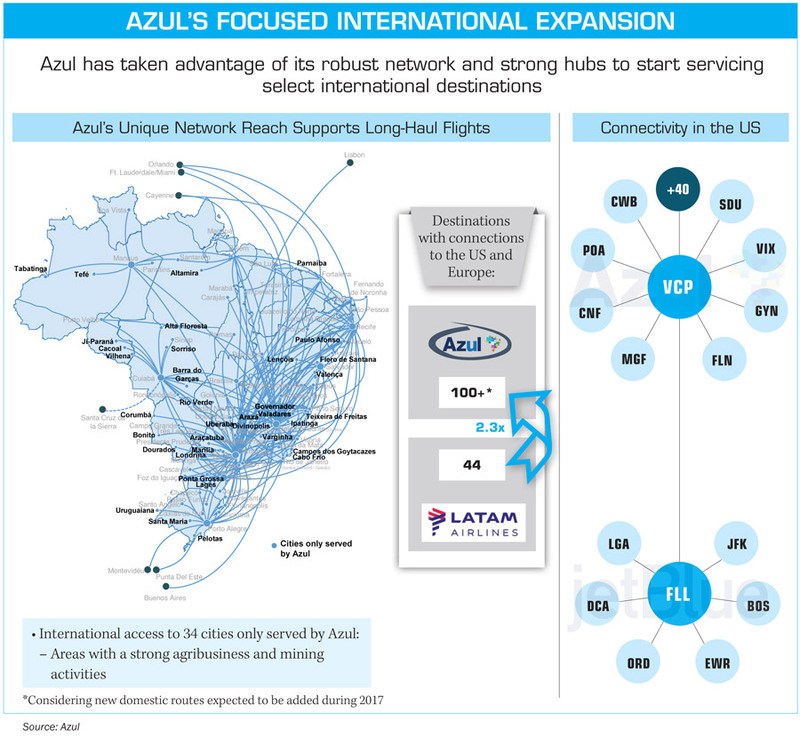 “As of December 31, 2016, Azul served 96 destinations within Brazil, compared to 52 by Gol and 44 by LATAM. In addition, Azul was the sole airline on 70 per cent of its routes and 34 of the destinations that were served and the leading player in 66 cities as of December 31, 2016. By comparison, Gol and LATAM were leading carriers in only 13 and four cities respectively, as of December 31, 2016. Furthermore, as of December 31, 2016, 22 per cent and 16 per cent of our domestic network overlapped with that of Gol’s and LATAM’s, respectively, while Gol’s and LATAM’s networks had an overlap of more than 80 per cent between them. Azul is focused on maintaining a trip-cost advantage relative to its main competitors while also providing it with flexibility for growth into new markets both domestically and internationally. Azul expects to add up to 58 new next-generation Airbus 320neos between 2017 and 2023 and 33 next-generation E-195 E2 aircraft starting in 2019 to replace older generation aircraft and serve high-density markets. These new generation aircraft are more fuel-efficient than older generation aircraft. Azul expects that the fleet plan will allow it to maintain market-leading trip-costs and reduce CASK, both in absolute terms and relative to main competitors. Azul intends to continue identifying, entering into and rapidly achieving leading market presence in new markets or underserved markets with high growth potential. It also intends to continue to grow by adding new destinations to its network, further connecting cities that are already served with new non-stop service, increasing frequency in existing markets and using larger aircraft in markets that Azul has developed over the years. 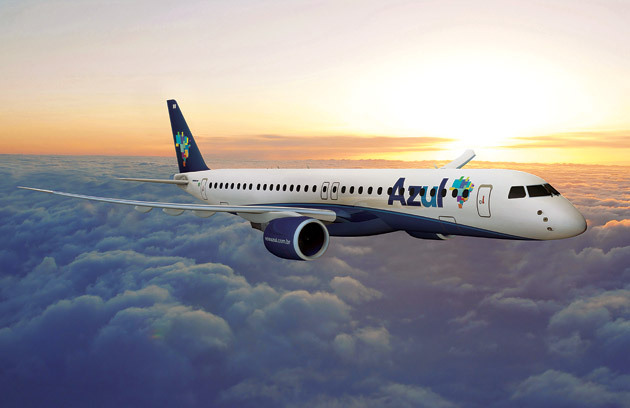 Finally, Azul intends to apply disciplined approach of selecting new destinations that can be served by ATR or Embraer aircraft, with a continued focus on Brazilian cities where there is the greatest opportunity for profitable growth and on select destinations in South America with perceived high growth potential. ATR aircraft provide a significant strategic advantage in the ability to enter new cities and access previously untapped demand, since these aircraft only have 70 seats and, therefore, require fewer passengers for the flight to become profitable.